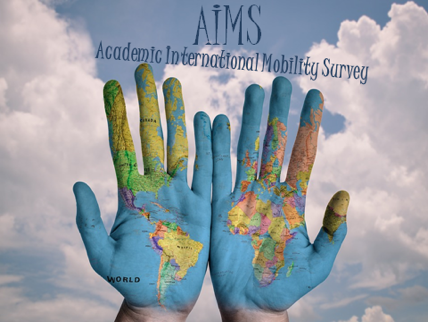 Aims is an on-line survey on the educational, professional and migration paths launched in September 2016 in France, the United Kingdom and Spain, to study the individual trajectories of students and of academics born abroad and living in the three countries. The questionnaire is divided into 6 modules: demographic and socio-economic characteristics,education, professional history, research practices, migration trajectory, and future prospects. • Academics and researchers: all Master’s or PhD graduates working in higher education and/or research in France, Spain or the United Kingdom, regardless of level or status (post-docs, research assistants, junior researchers, senior researchers, associate professors, full professors, temporary teaching attachés, etc. ), including those born in France, Spain or the United Kingdom. • research practices and academic ties with the country of origin. The survey will make it possible to compare these dynamics in these three different European receiving contexts. L’Institut National d’Études Démographiques (INED) réalise un projet de recherche financé par la Commission européenne au sujet de la migration temporaire et permanente en Europe (Projet « TEMPER ») en collaboration avec plusieurs partenaires internationaux. Dans le cadre de ce projet, une attention particulière est réservée aux mobilités étudiantes et scientifiques. Une enquête en ligne, retraçant les trajectoires éducatives, professionnelles et migratoires des étudiants et académiques étrangers sera diffusée entre les mois de septembre et décembre en France, en Espagne et au Royaume-Uni. We have contacted several universities and research centres in the three countries by email, inviting them to collaborate and providing the link to the on-line survey for the target population. We also send two or three reminder messages. For some academics we send the email directly to the person’s professional address (these addresses, drawn from the on-line directory of the employer university or research centre, are public information), followed by three reminders. The initial email clearly explains that participation is optional and offers the possibility of “unsubscribing” so as not to receive reminders. Abstract: This report aims at examining main political debates and legislations targeting foreign students and academics in France, Italy, Spain and the United Kingdom since 2000. Several changes in migration policies have occurred these recent years in the UK, France and Spain that affected the conditions of entry and stay of foreign students and academics coming to these countries. While in the UK migration policies became more restrictive since 2010, France adopted a more selective approach with the aim to diversify the geographical origin of students and academics and select more thoroughly those who are allowed to stay in France after the completion of their post-graduates studies. Spain is trying to promote the internationalisation of its higher education and research system with the adoption in 2008 of the “Estrategia Universidad 2015” – which includes measures to attract more foreign students and academics – while coping with the limited resources due to the effects of the economic crisis. These legal reforms and policy efforts to affect the internationalization level of the university system at its lower and higher ranks, from undergrad students to researchers and academic positions, are hard to evaluate in the short term, as it will be shown in Working Paper 3.